There was a time no so long ago in which the very concept of gourmet cupcakes was crazy. In fact, we didn't really know what to think when we were asked to interview for the opportunity to design a website for a small, local cupcake baker named Gigi Butler. But it didn't take us long to not only mind meld with Gigi's vision, but see where the future, and the right web presence, could take them. Our goal when we first began planning Gigi's Cupcakes' first website and ecommerce network was to build a system that could easily scale up to dozens, and even hundreds of locations without having to reinvent the wheel. Today, the web content, online marketing and technology paradigm that powered their brand when they had just seven locations is the same one that now runs the main corporate website, a weddings microsite, an owners intranet portal, and 107 local ecommerce sites. Tweet: Brands that thrive and grow never stop pursuing new ways to make an emotional connection with their customers. 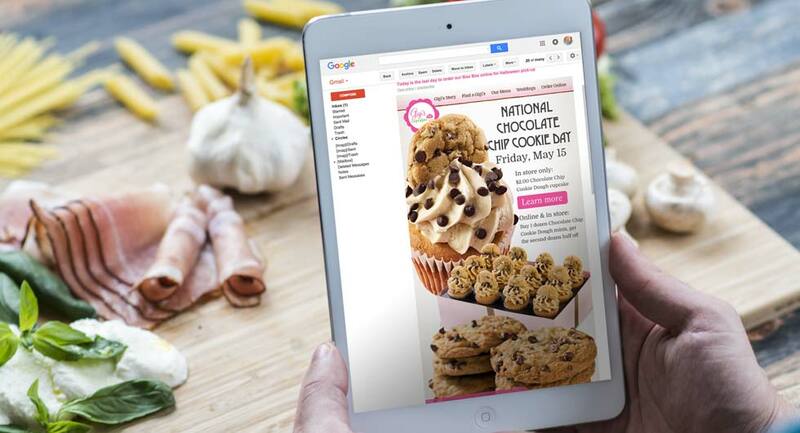 The main consumer-facing website—www.gigiscupcakesusa.com—consistently ranks among the top 250,000 most visited websites in the world, in all categories. Gigi and her then small team provided the visual framework for success: Focus on the visual design of the product, and let the brand shine. After several laborious discovery meetings, we believed that the path to a unique and relevant online brand presence lay in letting the site show photographs of Gigi's cupcakes as large, and in as much detail, as was possible on the web at that time. Due to the complexity of their brand concept—a different menu every day, repeating every week, with the ability to have different prices at the local level—we built Gigi's Cupcakes' online presence on a proprietary web platform that could be custom developed to meet their unique user experience requirements. The franchise company controls the look and feel of the online ordering sites, while owners have limited admin access to their online ordering sales data. Generator's staff manages the day-to-day of product, price and promotions content on behalf of the franchisees. All of the online ordering sites are connected on the back side, providing a unified way to report on sales and update menu items system-wide. This strategy ensures that the brand always projects one unified brand message that cannot be altered by franchisees, and franchisees are freed up to do what they do best: bake and sell. 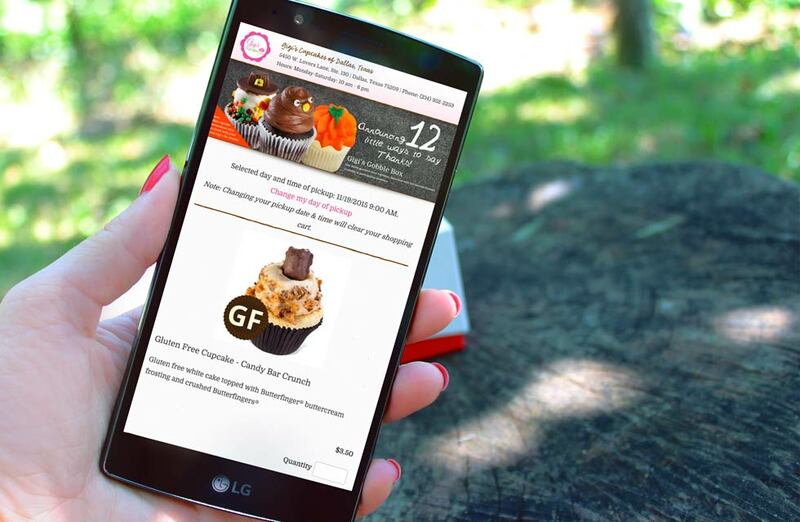 As a key part of our ongoing marketing strategy, Generator directly manages Gigi's email marketing. Driven by their internal sales and marketing plan, Generator strategizes, designs, codes, sends and tracks multiple email campaigns each month. Many of these email campaigns are driven by local franchisees, who offer special products and discounts to their customers through the email list. Local Gigi's franchisees have repeatedly told us that our email campaigns are the most effective driver of customer traffic and sales at their store. A special microsite dedicated to weddings presents a completely unique visual concept to users, and invites visitors to fill out a form to schedule a tasting at their local Gigi's Cupcakes. Thousands of qualified sales leads have come through this site, directly to the local Gigi's franchise owner. The site consists of several key portals, which drive and direct site users based on their intent. The menu landing page acts as a de facto second home page, serving as the go-to place for anyone who wants to know what each Gigi's bakery is selling today, tomorrow, and every day into the future. It's not just about cupcakes anymore. To reflect this incredible array of unique and delicious offerings, our website design dedicates key content areas on all product pages that act as jumping off/in points to content specific to that product line. Analytics drives every decision at the website—and analytics proves that local content has become the key content for attracting new users and getting them to their local Gigi's bakery. That's why we have dedicated landing pages for each Gigi's location, with unique content specific to that store's locale and owners. We also display a detailed by-state listing of Gigi's growing franchise network in the footer of the site, which directly links users to the Gigi's Cupcakes closest to them. A new franchise sales website was recently launched, which tells their brand story in a manner suited for potential franchise owners. Sales leads from this website are directed through a dedicated form at the site, which go directly to the head of franchise sales. Brands that grow and thrive never stop pursuing ways to make an emotional connection with their customers. That's why our team has continued to watch analytics in all of Gigi's media, to discover new and better ways we can connect customers with the Gigi's Cupcakes brand. There's new Gigi's stuff on the drawing board right now that is designed to shine a new light on their amazing products and people. Local ecommerce continues to grow every year, providing a key income stream for franchisees as competitors entered their market. Sales leads from the Weddings and catering forms have numbered well into the hundreds, with leads sent directly to the local franchise owner. The growth of the Gigi's franchise network made managing communications increasingly unwieldy. To solve this problem, Generator created a password-protected Owners Site, which includes a variety of functionalities and administrative access levels. 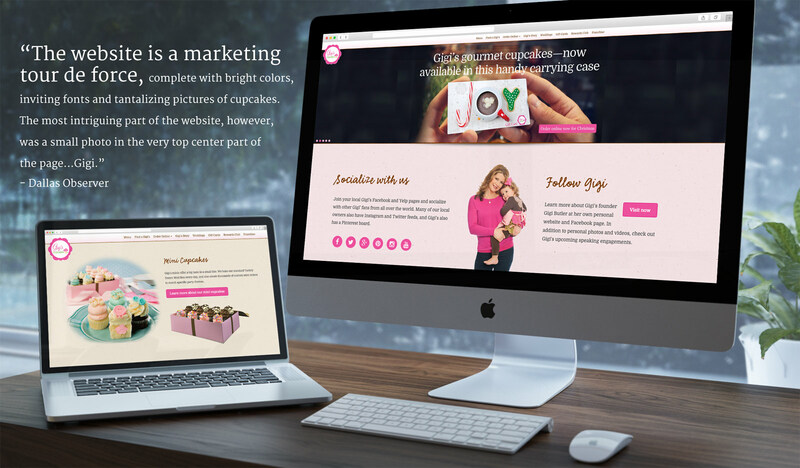 Through this website, Gigi's Cupcakes' marketing and operations teams services both generic and custom-designed print advertising, point of sale and social networking artwork to their local owners. 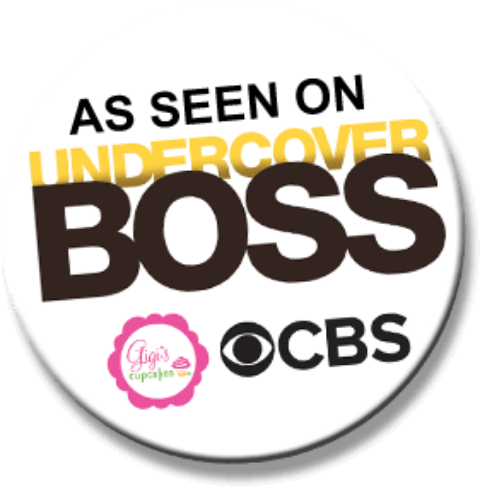 A key online marketing emphasis in 2015 focused on CBS' Undercover Boss, which featured founder Gigi Butler. Generator worked with the company's leadership and CBS to design a UCB marketing campaign, which included a website countdown to the airing of the show. The night of the airing of Undercover Boss resulted in the highest web traffic in the company's history, and exclusive website content, email, social and ecommerce marketing brought thousands of new customers to Gigi's local franchisees. If you have a franchise in need of strategic marketing, we'd love to hear from you!